News-zonal.com…what the f***?!?! Honestly, just when I thought the owner of these sites would give up up, he is up to his old tricks with yet another news site that is probably on its way to scamming many innocent people. So, let’s just get right into this News-zonal.com review. Just like all of the other news site reviews I have done since June of this year, News-zonal promises users the chance to earn $7-$9 per “news article” they read plus the chance to make even more money by referring people to opportunity and earning up to $35 per person they refer. While that sounds great, it is a straight up scam! 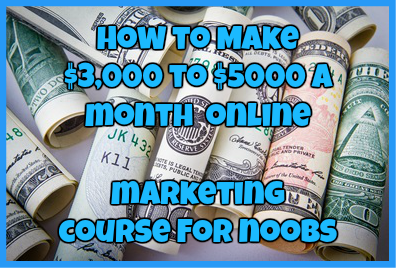 This program is targeted to people who are looking to make money online and to do so in a relatively fast manner. Basically it targets those who are desperate for money and want to make thousands of dollars per week. Don’t fall for this. How Do I Know News-Zonal.com Is A Scam? Now, if you look at the homepage of this website and then compare it to other websites I have reviewed in the past, you will notice that they look very similar…way too similar! Every single site has the same color scheme, same layout and even the same man on the homepage. Just take a look for yourself how similar these websites are to one another. So, I know for a fact that I am not the only one who has noticed this but if you look at some of the “news articles” on the website, they are nothing but a sentence or two about the actual subject. I have read the news and I can tell you for myself that normal news articles are NOT that short. 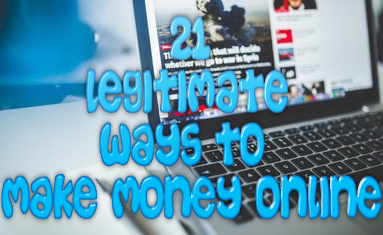 I have also been working online for a long time and I can tell you from my own experience that IT IS NOT POSSIBLE TO MAKE THOUSANDS PER WEEK SIMPLY BY READING A FEW SENTENCE HERE AND THERE! The fact that this website only asks for your name, paypal email address and name begs the question of how reputable this company is. This site doesn’t even ask you to confirm your membership upon signing up, again another questionable act. Just like with every IDENTICAL news site I have reviewed in the past, this website is a known phishing scam. It is so well-known in fact that Paypal and ScamAdvisor warn people about this site so they can help prevent the amount of people getting scammed by them. This site is used only as a means of collecting Paypal email addresses and once gathered, the owner of these site will send out an authentic looking email from paypal asking you to log in. Once you log into your account, the owner has full access to your money, credit cards and bank account (which you have to link with Paypal now in order to use it) and can lock you out to do whatever he wants with your money. I can tell you from experience that this website is a 100% scam. This sites predecessors have been known to not pay their affiliates and to date over $1 million is owed to every affiliate of these sites. With this kind of history you can see why this website won’t likely pay you for your efforts and I can bet money that you will never see the money that you are owed. Just do yourself a favor and stay away from this program. Become an affiliate for a program that WILL pay you the money you have earned and won’t scam you in the process. Have you fallen victim to News-Zonal.com? If so, I would love to hear from you! Drop me a detailed comment below. ← WePay.com Review: The Anti-Paypal? Elite Marketing Pro Review-Can This Program Turn You Into A Marketing Pro?